Sew what’s New at Eau Brink Studio then? We have a small section of our goods at The Barn in Long sutton. Why not pop along and see what other goodies are there? I have planned a few workshops at The Barn which will commence in November. These will be a drop in day where you can make a brooch or jar with Powertex. Get to grips with Xpandaprint and Scolarbrush as well as few more mixed media goodies to play with. I am also going to be working in Silverwood also at Long Sutton. The plan is to run workshops commencing in November which will include dying fabrics, Patchwork for beginners, getting to know your sewing machine as well as the Powertex brooches. Here at Eau Brink Studio I am excited to announce that Pippa Pease will be here on the 26th of November teaching a beginners Skirt Making workshop. More information will be available soon. It is hoped that we can make this into a monthly sewing group with a different project each month. The plan is that each individual will learn a new set of skills at the beginning and then add to those skills so that you can tackle any project. 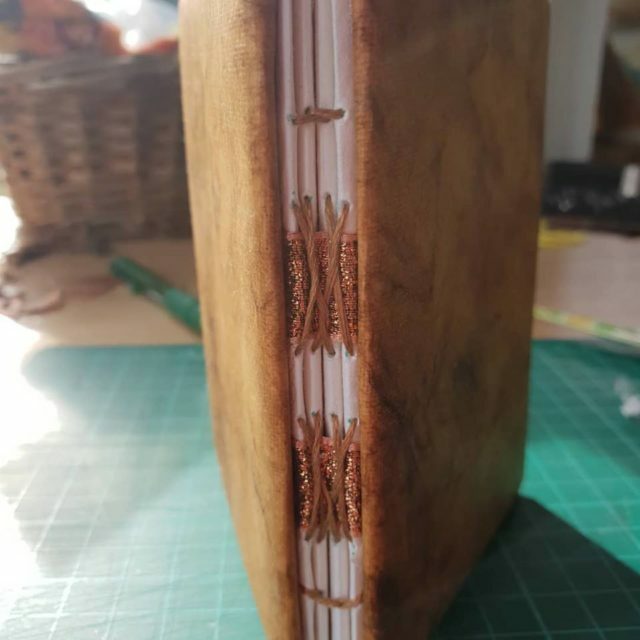 I am very excited as I have managed with the help of Pauline Wrighton to at long last master book making. My books were always too loose and did not sit properly. It turned out that I was using the wrong threads. Thank you Pauline. As many of your know I do make lampshades using Shibori techniques. 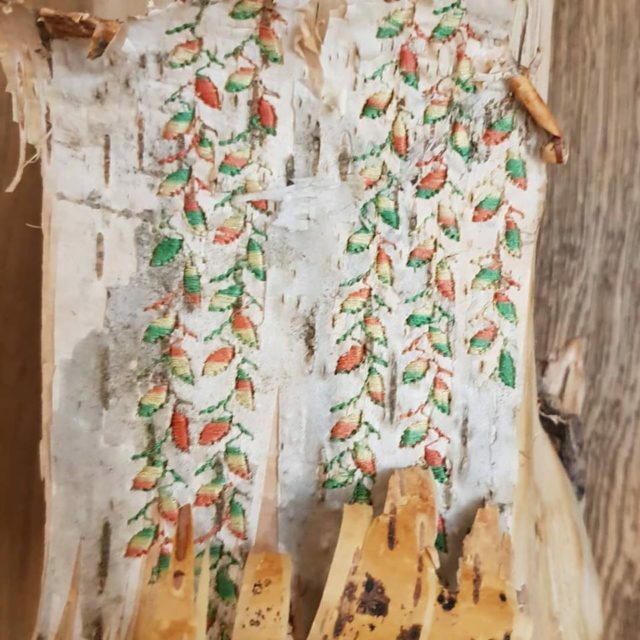 Now John has been making the bases for me and I have been sewing into the bark to add decoration. The plan is to mirror the stitching on the shades so ensure they match. the challenge is to get the bark back onto to base without it looking flat and uninteresting. I am hopeful that I can iron out the problems before Wymondham in a weeks time. We are nearly at half term already and the children in the school have been making witches and wizards. Pumpkins and stitched coasters. This week they will be making ghost decorations. After the half term break I will be going into another school and we will be looking at making items for Autumn. I will be getting a little sewing in there. Booking for the workshops for the next year are beginning to be booked which is great news for us all. Included in this is the Airbnb workshops. What are they I hear you cry. I have registered some days on Airbnb experiences which I means that anyone staying in the area can come and play by booking through Airbnb experiences.